New for Fall 2010, the Primaries All-in-One Kit for combined grades 1-3! The kit includes a spiral-bound Leader's Guide, colorful teaching visuals (Bible Teaching Resources), plus a CD-ROM with reproducible student sheets (both Classroom Activity Sheets and Take-Home Papers) for 13 weeks of materials. Now you can print just as many student sheets as you need each week. No need to worry about running short…if you have lots of visitors, simply copy more student sheets. If you have kids on vacation, simply print fewer activity sheets that week. The All-in-One Kit is completely flexible. If you need to have two classes of students, just order an extra Leader's Guide for your second class. Take a look at samples from the Primaries All-in-One Kit and then order your Primaries All-in-One Kit for a risk-free 60-day review. If you're not completely satisfied, return it for a full refund. The Primaries All-in-One Kit is a $125 value for just $79.95. All-in-One Kits are also available for Preschool so you can teach two- to five-year-olds in one class or divide them into two classes using the reproducible student sheets. The quarterly kit includes a spiral-bound Leader's Guide with 13 weeks of materials, colorful teaching visuals (Bible Teaching Resources), and Classroom Activity Sheets for Honeybees (2- to 3-year-olds) and Cubby Bears (4- to 5-year-olds) plus Take-Home Papers on the CD-ROM. The Preschool All-in-One kit is completely flexible. You can use it to teach a class of 2- to 3-year-olds, a class of 4- to 5-year-olds, or a combined class of 2- to 5-year-olds. If you have two classes, order an extra Leader's Guide for your second class. The Preschool All-in-One Kit is a $150 value for just $99.95. If you have a combined group of children ranging from Grades 1-6, take a look at the Explorers All-in-One Kit. 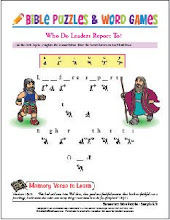 The Explorers Kit includes the basic Bible teaching you've come to expect from the All-Stars for Jesus Explorers curriculum, but with the student sheets on CD-ROM. The Explorers All-in-One Kit is a $125 value for just $79.95. The quarterly kit includes a spiral-bound leader's guide, colorful teaching visuals (Bible Teaching Resources), plus a CD-ROM with reproducible student sheets (both Classroom Activity Sheets and Take-Home Papers) for 13 weeks of materials. Now you can print just as many student sheets as you need each week. Take a look at samples from the Explorers All-in-One Kit and then order your All-in-One Kit for a risk-free 60-day review. Questions? Call one of our helpful All-Stars for Jesus specialists at 1-800-854-1531. We'll be glad to help you decide which program is best for your church and your students. We enjoy offering you service with a smile. After all, we're serving our Lord and Savior, Jesus Christ!